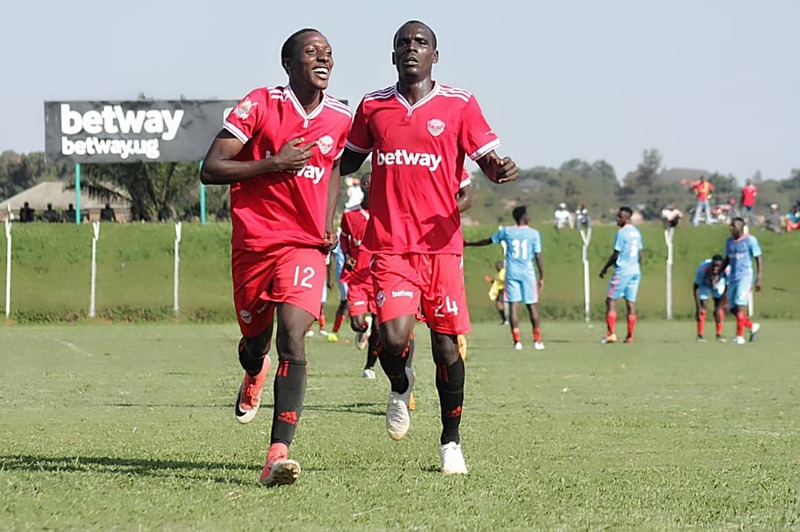 WANKULUKUKU – Michael Birungi scored the winning goal 13 minutes from time as Express FC defeated Nyamityobora 2-1 at the Betway Mutessa II Stadium on Friday afternoon. The former KCCA FC winger scored four minutes after Express had conceded from the spot thanks to Nyamityobora Captain Alex Komakech. The Red Eagles had earlier taken a first half lead through Badru Nsubuga. 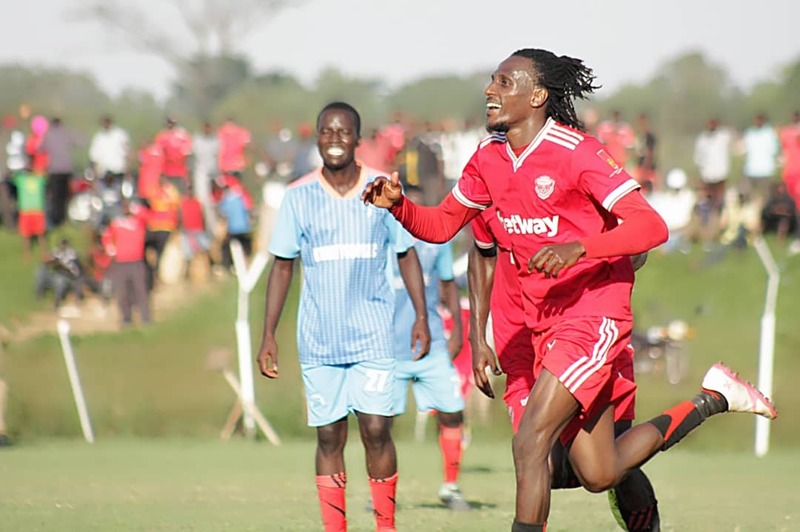 On a sunny afternoon at Wankulukuku, Express started strongly and put the ball into the back of the net inside the first minute but the effort was canceled out for an areal infringement involving Birungi in the build up. On 7 minutes, Mubaraka Nsubuga failed to turn in a Disan Galiwango cross from the left as the ball went out for a goal kick. After a nervy start, Asaph Mwebaze called for an early change, taking off Iga Muhammad and replacing him with Shafic Muvuma after just 12 minutes. Halfway the first 45 minutes, Badru tried his luck from distance but his effort went wide of the target. Moments later, the Express academy graduate would not be denied for a second time as he poked home a lose ball after Nyamityobora goalkeeper Hilary Jomi spilt Joel Male’s fierce effort. The visitor’s first chance of the game fell to Innocent Ronald who blazed over after he was played in by Badru Ssekagya. From the resultant kick, Kayiwa missed from close range after Nyamityobora failed to clear their lines. With two minutes to play in the first half, Mubarak Nsubuga limped off injured and was replaced by Eric Kambale in Express’s first substitution. The last bit of action saw Male booked for a rush challenge on Komakech. A seemingly dejected Nyamityobora went into halftime trailing 1-0 And it was down to them to lift their quality in the last 45 minutes. At the start of the second, Kefa Kisala introduced Billy Nkata in place of Male as Express made their second tactical switch. With five minutes played in the second half, the visitors got the first opportunity of the half with Brian Mugisha heading over Clinton Mwesigye’s free-kick. Four minutes later, Badru missed from close range as he shot wide after he was played in by Birungi. Moments after the hour mark, play was halted for several minutes after Kambale collided with Barni Kalvin inside Nyamityobora’s area. With 22 minutes to play, Badru became the third player to be booked after fouling Komakech around the center circle. Two minutes later, Birungi unleashed a fierce drive from outside the area which rattled the cross bar. Moments later, he crossed a delicious ball for Kambale who headed over while unmarked six-yards from the goal. With 17 minutes to play, Kambale was made to pay for his earlier miss as Nyamityobora were awarded a penalty after John Revita brought down Innocent Ronald in the area following lazy play by goalkeeper Mathaius Muwanga. Four minutes later, Birungi won it for the Red Eagles, controlling Galiwango’s free-kick while unmarked in the area and slotting in past Jomi to make it 2-1. The win elevates Express into 8th on the log with 19 points from their first 13 League games. For Nyamityobora, they remain 2nd from bottom with 7 points from their first 13 games.